Love and loss come hand in hand all too often, and the meeting of the two is often a tumultuous occasion. Anguish and nostalgia mix with warm memory in a painful array, reminding us of that which once was, which will never be again. Emotions bubble to the surface when we come face-to-face with endings, cascading out in all forms imaginable. 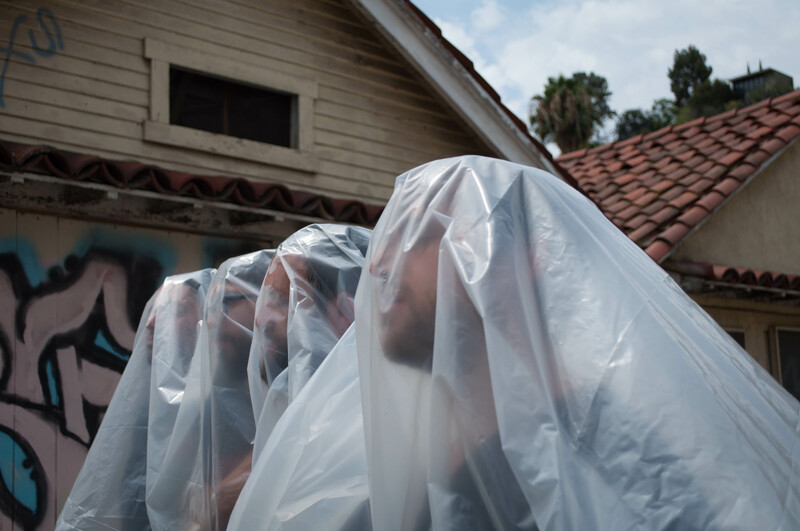 Los Angeles band Wages is updating alternative rock to fit the modern “indie” context. Wailing Strokes-y guitars combine with a tight REM-like beat and melodies reminiscent of The Smiths and The Cure on “Rattlesnake,” resulting in a sound that is as fresh as it is deeply embedded in the rock music canon. It comes as no surprise that singer Nick Byron Campbell doubles as a sound artist, presenting sound art installations at galleries and events around the country. It’s this intimate knowledge of music’s inner workings that allows Wages’ work to shine. 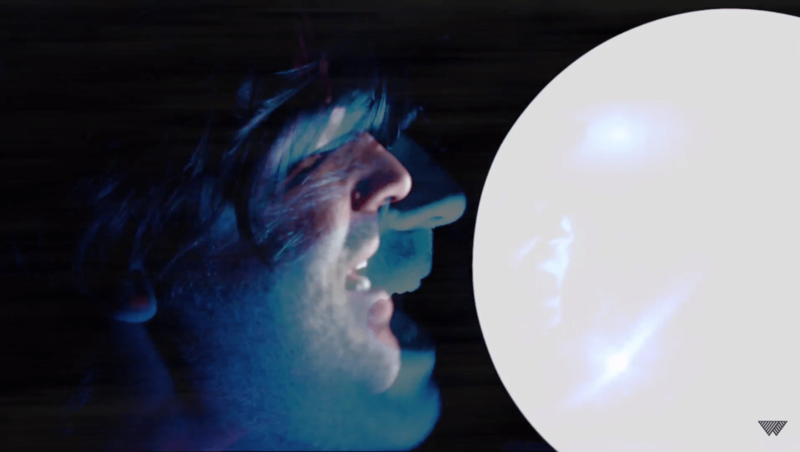 Distorted effects form a ghostly carbon copy of Campbell’s face as the vocalist sings his sorry tale. Campbell’s eyes are closed throughout, and darkness lies all around him. He sings at a giant white orb – a light, maybe? A void? Nothing at all? The imagery perfectly captures the cold depths of this dark moment. It doesn’t really matter what object Campbell is singing to – and indeed, the subject might change over the course of the song. Loneliness seeps through every crack in “Rattlesnake” until it fills the screen. Longing takes on a physical presence in the bridge as Campbell sings from a supine position. In that moment, the audience might remember their own feelings of helplessness: Of lying on the floor, wishing, wanting, all the while knowing that which you desire is indefinitely out of reach. Once you internalize Wages’ situation, their pain becomes intolerably real. The wailing melodic line comes to symbolize the woeful tear in one’s soul; the guitar feels all the more soothing in its fast motions – a quickness that might turn your head out of its darkness, if at least for a second. “You take away the pain.” Over and over again, the chorus line hits like fire and ice. “Rattlesnake” needs that greater release – a sense of accomplishment through overcoming raw emotion – but the satisfaction never comes. You can cover up pain, but that doesn’t mean it goes away. Somewhere deep in “Rattlesnake,” Wages know all too well that the pain won’t go away soon. It doesn’t matter how you cope with loss; the sensation of pain lingers long after the damage is done, reminding each and every one of us of our sheer and inescapable humanity. Wages pull at our core emotions on “Rattlesnake,” leaving us shred apart and vulnerable, like it’s us who had our hearts ripped out and not them.